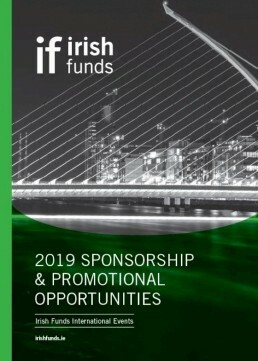 The Irish Funds Annual Global Funds Conference takes place on Thursday, 23 May in the Convention Centre Dublin. We are delighted to announce Professor Richard Susskind OBE and Andrew McDowell, Vice President of the European Investment Bank, as keynote speakers. Irish Funds is delighted to announce the agendas and speakers for the two upcoming seminars in Johannesburg and Cape Town on the 9th and 11th April respectively. The Why Ireland 2019 brochure is now available. Get the latest facts and figures and read about why Ireland is a key strategic location for investment managers from all over the globe to develop and expand their international distribution footprint. IFS Skillnet will be running a one-day course on MiFID on Tuesday, 12 March 2019. The HM Special Report Ireland featuring Irish Funds and several firms is now available. We are now seeking nominations for participation by members across a range of our industry Working Groups.